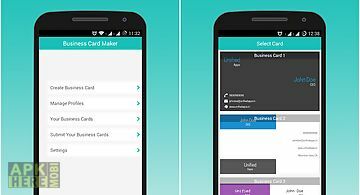 Name card maker app for android description: By using this application you can easily design a card such asbusinesscards shop cards profile card and greeting cards. 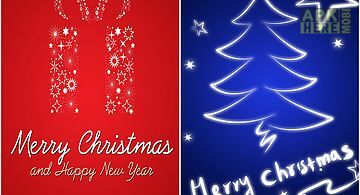 You can use your image data and create christmas card greetingcards new year cards and various other cards. 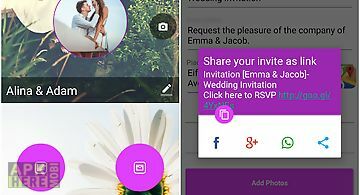 The cards you created can be shared through cooperation with other applications. 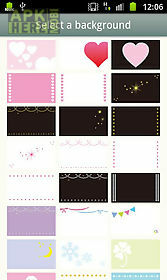 For example as a mail attachment image data posting to the sns and so on. 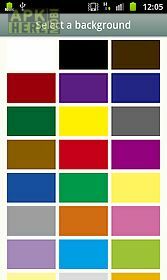 In addition several templates we prepared are available for thosewhoare weak in design. By customizing the design of the base you caneasily experience the card design. 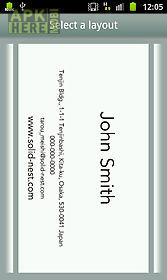 The card design can be completed quickly by using a templatedesign please inspire greeting in friends colleagues and business. We hope to be born a great card beyond our imagination! 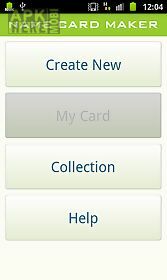 Applications feature: can create a original design card. 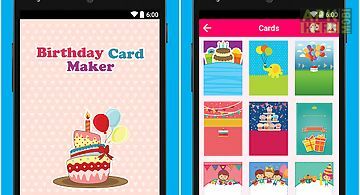 Can see edit delete shere a card you made. 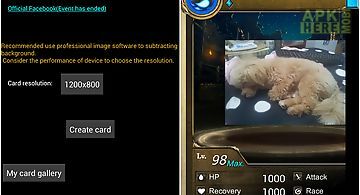 Can hold a image data as your card collection. 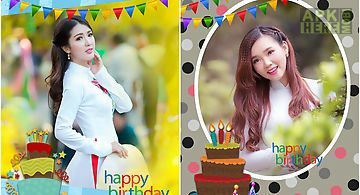 Can send and share many card styles layouts templates can use your image photo company logo nice original designer interface can do print outand more we are planning many geate function. You can look forward to it!! 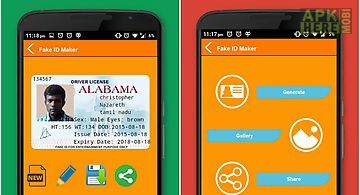 Business card makerit is the business application which makes your business card in a minute!! 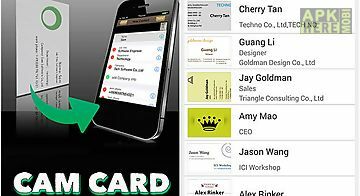 The best business card application used by thousands of peop..
Birthday is the most important day for anyone in this world. Whether a boy or a girl a lady or a man baby or old one everyone waiting for this special day ..
create your own custom greeting cards 500+ images and clips for use share your work with friends via facebook email mms google+ twitter and any sharable m..
Smart application to designed wedding invitation! 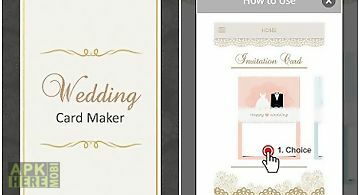 Easily design wedding card invitation and share it on whatsapp facebook etc. Friends can rsvp your invite..
A handy arrangement and storage of all your business cards in one place. 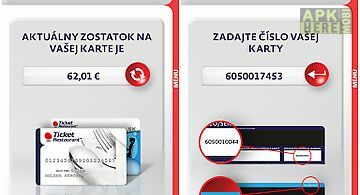 The application will read the information from a business card and will make a new..
check available balance on your ticket restaurant card easily and quickly. 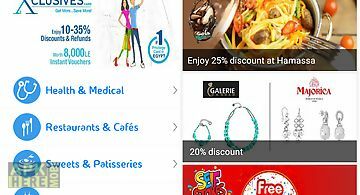 Tr card enables you to see current balance and to keep it in the memory of phon.. 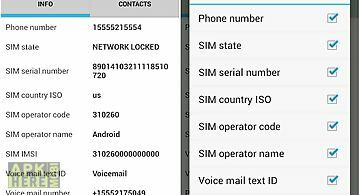 Simple application to display information about sim card in your device. It shows also contacts saved on sim card. Press on selected parameter to copy it t..
Xclusives card is egypt 39 s leading privilege card accepted in over 600 outlets from top names in dining fashion services entertainment in cairo and alexa..